Our Lord’s disciples never knew what would happen next! You can check your own responses to life’s challenges as you consider how they handled three different situations. Offended people (1-20). Jesus rejected the man-made traditions of the scribes and Pharisees because they focused on the outside and ignored the inner person. These men were plants that God did not plant (13:24-30) and blind guides who were leading people astray. “Let them alone!” was our Lord’s counsel. Persistent people (21-31). Again, the disciples were wrong. 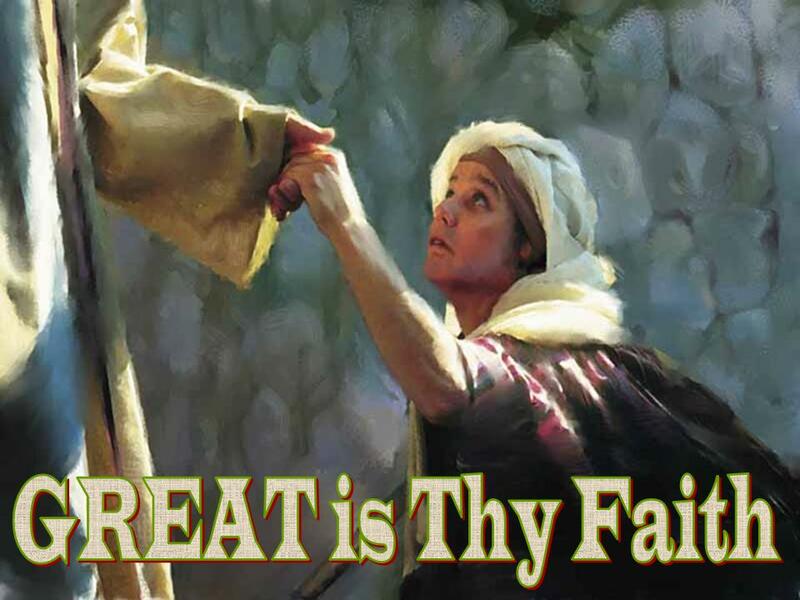 Jesus seemed to ignore the woman, but He wanted only to increase her faith. His delays are not His denials. Jesus was ministering in gentile territory, and the people “glorified the God of Israel” (v. 31). Hungry people (32-39). The disciples had already forgotten the miracle of feeding the five thousand! When you are faced with a crisis, take time to review His past mercies; remind yourself that He does not change. Try to respond to people today the way Jesus responded. Ask Him for discernment. 1. O Lord take away any form of deception or hypocrisy out of my life and cause me to exemplify true Christ’s life. 2. Pray that you will not exalt culture or tradition over the word of God and that God’s word will guide you in all your decisions. 3. Count your blessings and thank the Lord for all that He has done for you since this year began. This entry was posted on Tuesday, January 15th, 2013 at 8:11 am	and posted in 30 Day Challenge (January 2013). You can follow any responses to this entry through the RSS 2.0 feed.